Something we often hear, so we came up with a solution. 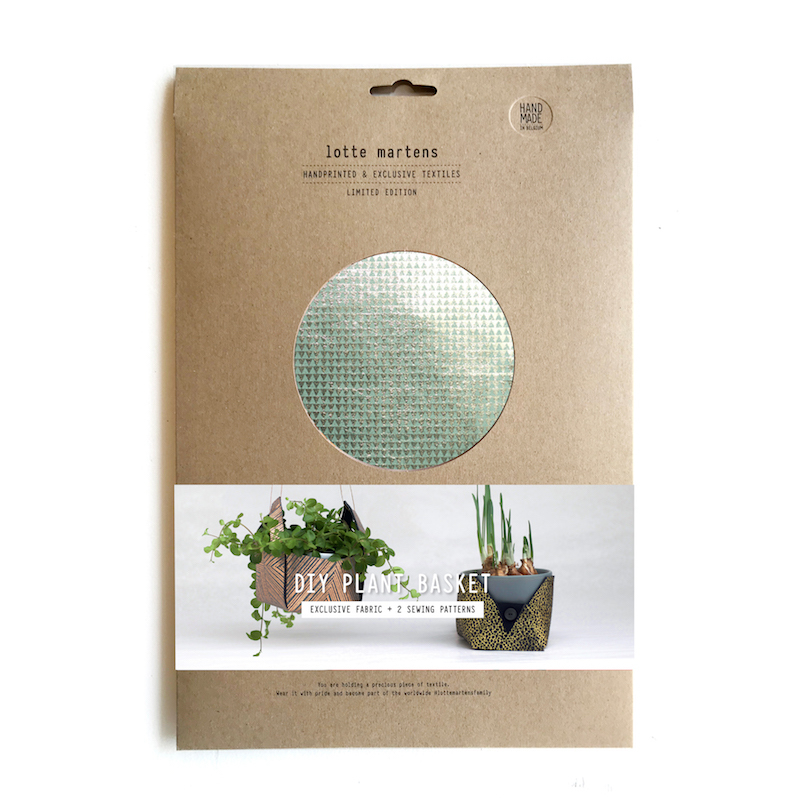 Attaching a button really is the only skill you need to get started with our new DIY packs! 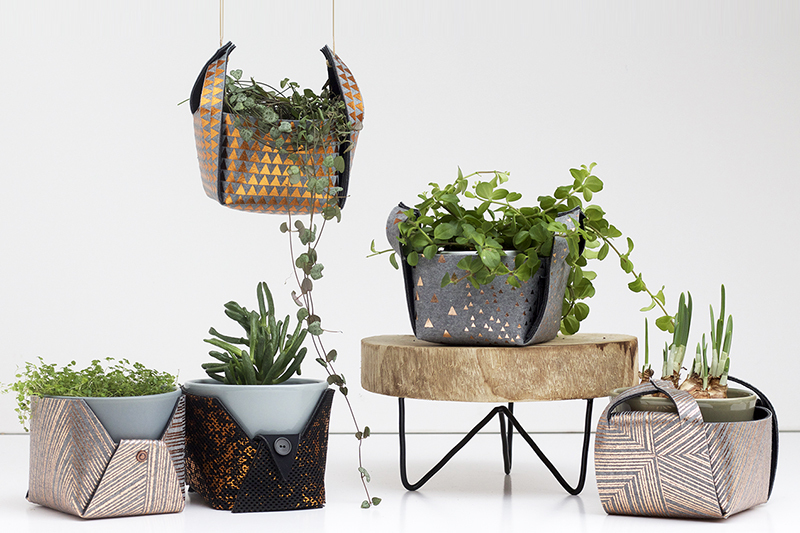 You choose the version of your taste, cut the fabric according to the pattern and fold it as the instructions tell you: in no time you end up with a nice basket or a beautiful plant holder. The basket is a decorative container for wool, pens, desk accessories or for two flower pots next to each other. 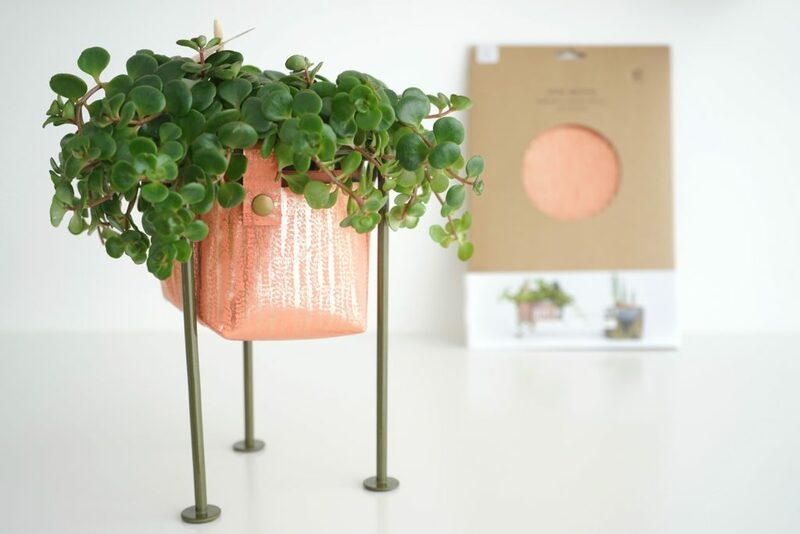 A flower pot with an upper diameter of 10 to 11 cm fits perfectly into the plant hanger. 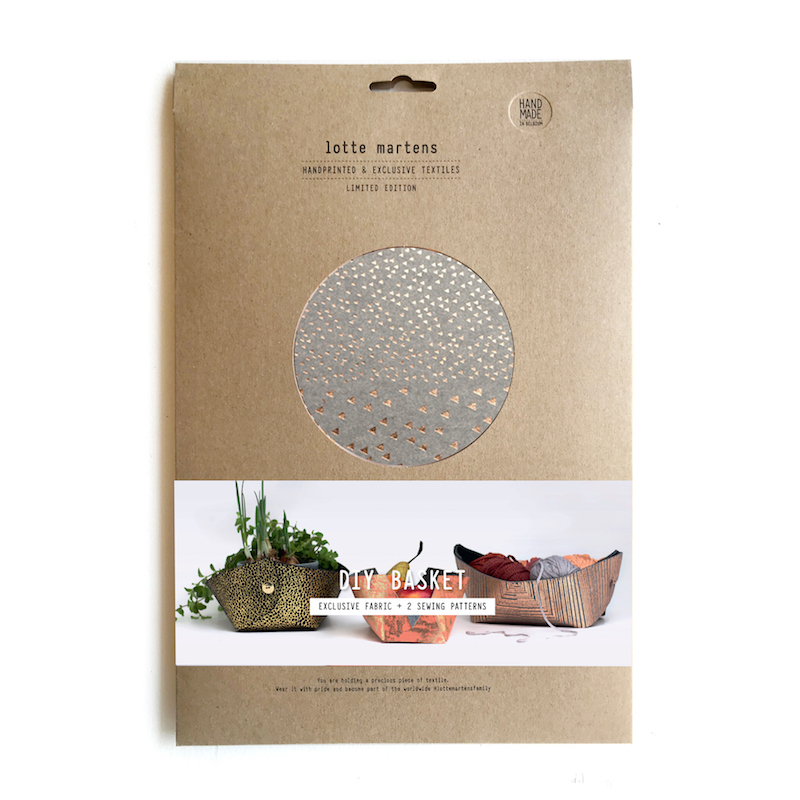 We provided the packages with a beautiful packaging, as a treat for those who deserve a present. Your mother, for example. Or perhaps it’s just a gift for yourself!